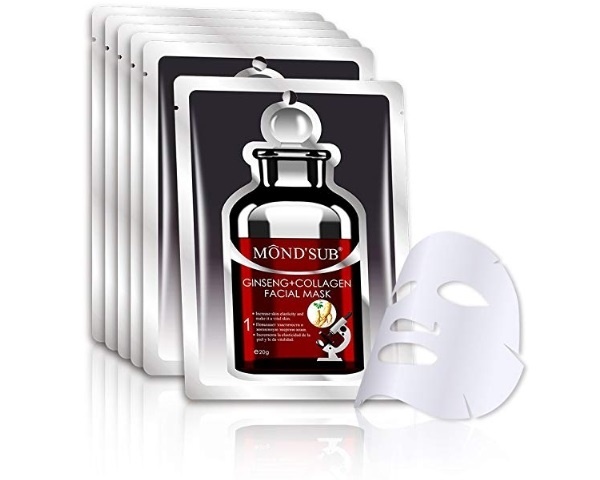 Collagen face mask is made with the hydrolyzed collagen that gives you excellent anti-aging benefits. 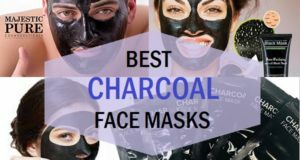 Such facial masks help to promote firm and elastic skin. As a result, your skin becomes even toned and smoother. Collagen mask diminishes the lines wrinkles and shrinks open pores. Basically, they help your skin by boosting the skin’s natural collagen synthesis and decreasing the elastin depletion rate. It’s the protein that maintains the natural elasticity of your skin which eventually, prevents the wrinkles and lines. 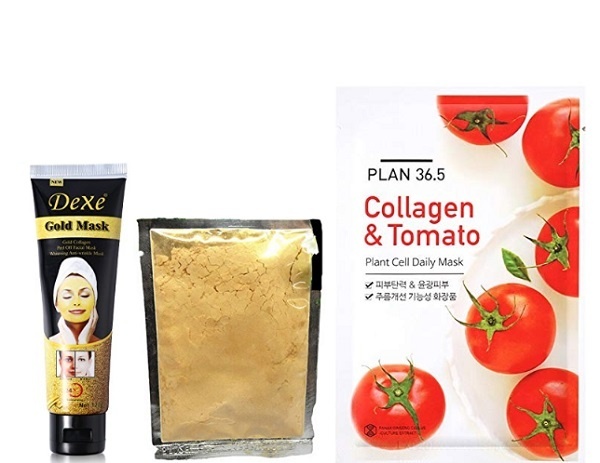 We have put together, this list of the best hydrolyzed collagen face masks available in India. This is a collagen and sleeping pack actually that is rich in hydrolyzed collagen that binds to your skin layers and gives it boost of moisture. It leaves your skin feeling bouncier like a jelly. The mask has water droplets that does not congest and gives your skin a surge of elasticity. Apply this collagen pack and leave. 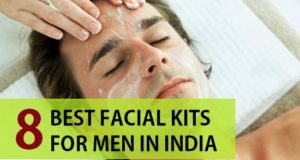 After removing, massage the skin like a face massage cream. 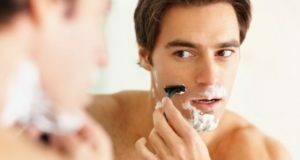 Leave it overnight and wash it off with lukewarm water the next day. This is one of the best collagen face masks that comes from a Korean brand. The sleeping mask is full of moisturizing property that has anti-aging and anti-pigmentation benefits for your skin. You can use it on your face and leave it overnight. Next day, you can wash this mask with regular water. It can be applied everyday or every other day to keep the skin younger looking. The Powder is rich in Rose lavender milk and chamomile extracts and hydrolyzed collagen. It is in the loose powder form that can be mixed with some rosewater and made paste. Just apply this on the face and wash after 15 to 20 minutes. It is an affordable collagen face pack with Botanical extracts. The face mask contains collagen and ginseng. 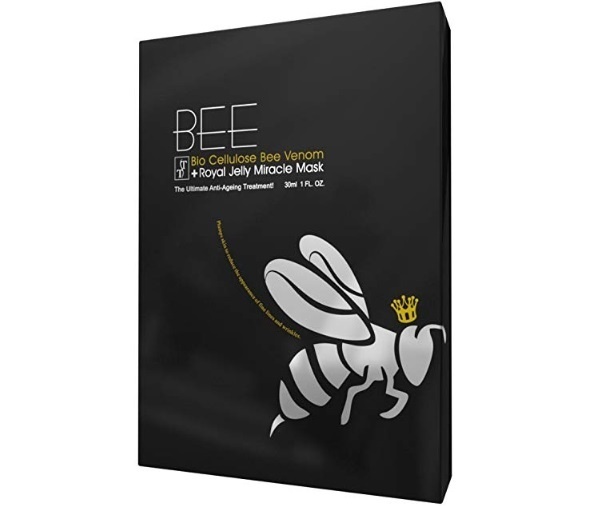 It is one of the best sheet masks that strengthen your skills by improving elasticity. 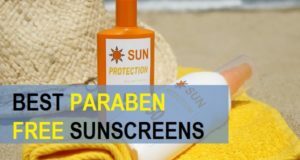 It makes skin strong enough to resist the harmful weather and pollution affects. The product gets applied on the skin nicely and makes the particles penetrate into the skin to give adequate amount of moisture and collagen. It’s a sheet mask that sticks to your skin nicely. It’s extracts penetrate within no time to leave your skin bright and cheerful. 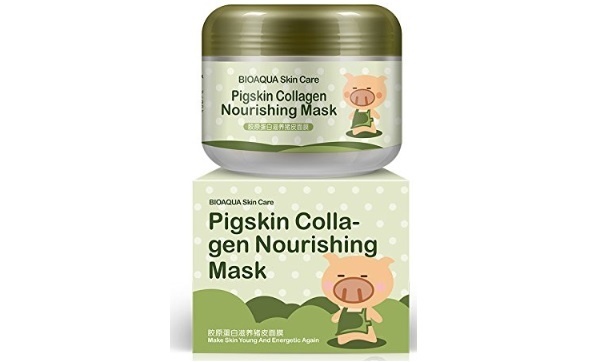 The nutrients in this anti wrinkle collagen mask revive elasticity and also repair the damage. It is a dermatologically tested product that is a single time use face mask. 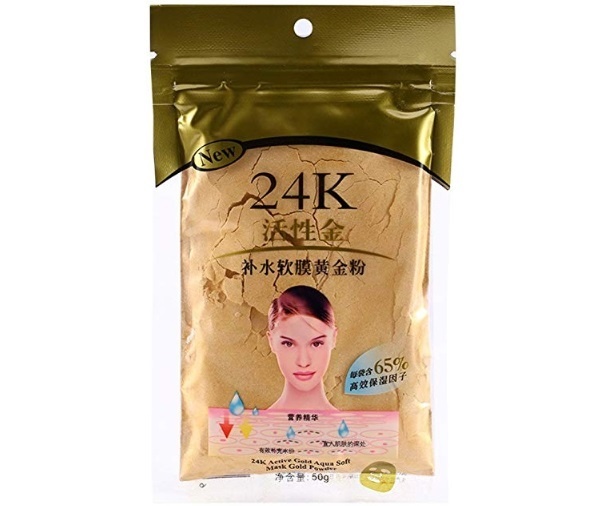 It’s a powder face mask that contains 24 karat gold with collagen. It is a luxury Spa like anti-aging and wrinkle treatment for your skin. One bag of this product contains 24 carat active gold powder. It replenishes the moisture and skin whitening to boost the luster of your face. The mask also removes the melanin and excessive oil from the face. 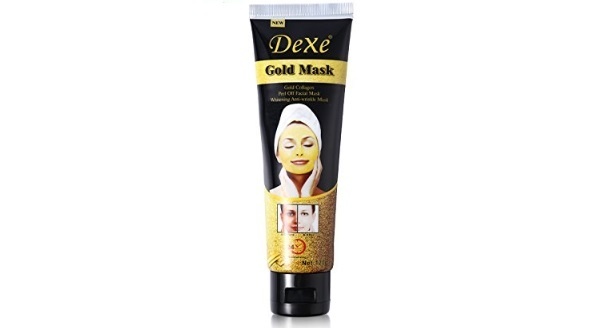 Package in a tube pack, this gold collagen whitening mask gives you double benefits. It whitens your skin and reduces the fine lines and wrinkles. 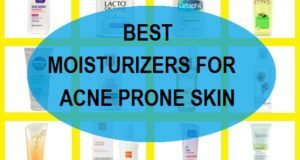 It tightens stores open pores that can make your skin look spotted and patchy. The product works to restore vitality and freshness of your skin, it even tones and increases the blood circulation. This results in smooth texture and a clarified skin. Made with biocellulose from Venom and Royal Jelly, this anti aging treatment is the best product to hydrate and moisturize your skin and to erase the signs of aging. It boosts the collagen production to maintain smooth skin. How to apply: Apply this face mask on your skin for 20 minutes and remove after some time. 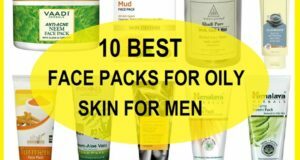 The sheet mask spread on the face nicely and gives you better and even toned skin with glow. 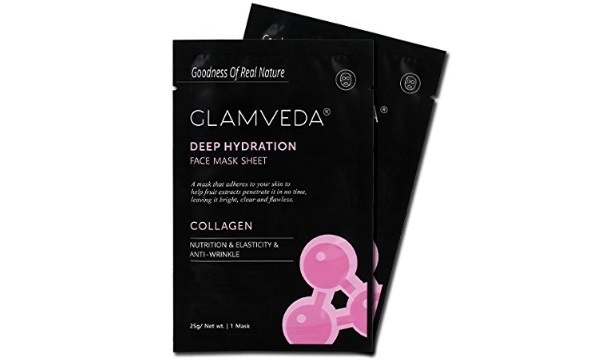 The deep hydration face mask comes in a sheet form. 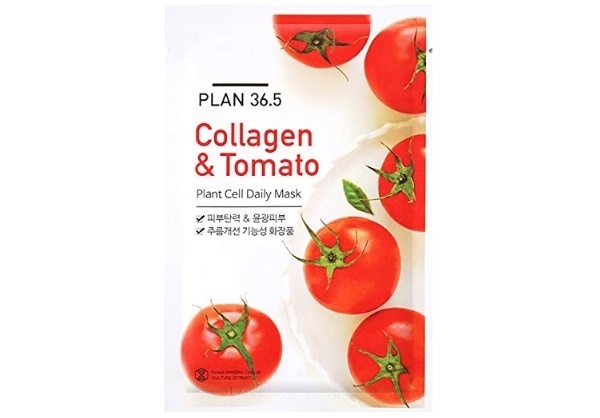 Rich in the tomato and collagen extract this daily face mask is a best product from the strange. The tomato contains lycopene that removes the lines and spots from your skin. While collagen increases the cell elasticity. You can wash your face, before using this mask then open the pack . Apply the mask and smoothen it. So, that it seems your skin evenly and stocks nicely. It distresses your skin for 20 to 30 minutes. Let this serum absorbed into your skin. Remove the mask and massage the skin so that face gets the maximum serum. Do not rinse the face after removing the mask.